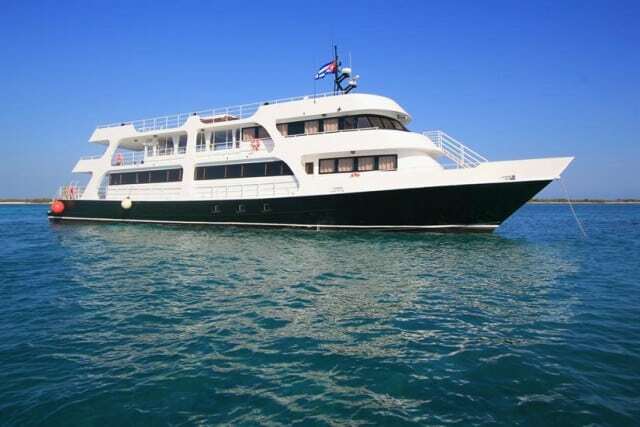 The Avalon Liveaboards vessels are well-known in Cuban waters and MV Avalon II is the newest addition to their fleet. Avalon 2 cruises the waters of the Jardines de la Reina or “Gardens of the Queen”. Jardines de la Reina is a marine park with a whole set of islands, keys, islets and reefs in the Gulf of Ana Maria. It is said by some scientists to be one of the best preserved marine eco-systems with the largest fish populations in the Caribbean. Avalon liveaboard fleet are the only diving operation in the area and cater to no more that 900 divers per year. MV Avalon 2 is large. Custom built. 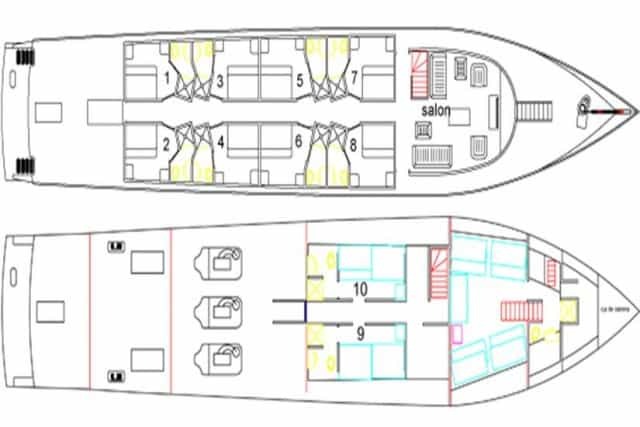 40m in length, she has accommodation for 20 customers. This makes her the largest vessel in the fleet; comfortably larger than MV Avalon I and MV Georgiana – her sister vessels. She has a Detroit Diesel power plant and electricity in the region is the standard US/European socket size. Avalon II has 10 appealingly furnished ‘State Rooms’. 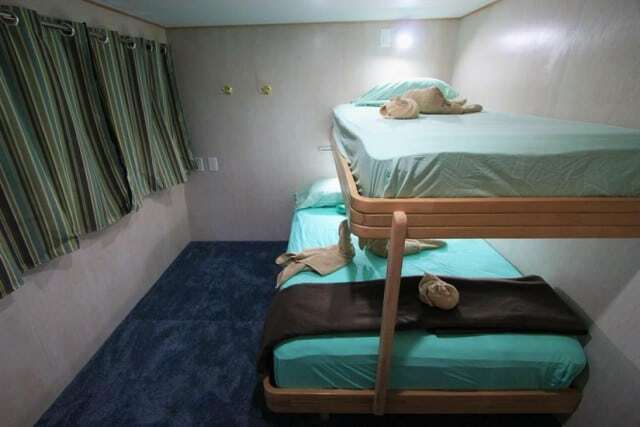 Each is individually air-conditioned and has it’s own thermostat to ensure that you can sleep in comfort and be well-prepared for the upcoming day’s scuba diving. Outside of the cabins the Avalon 2 is light, airy and inviting. Avalon 2 features a spacious and relaxed combination lounge and dining room area on the boat. Here you chill in-between dives and read, listen to music or simply chat with guests. Food is served here, a combination of local and European foods. 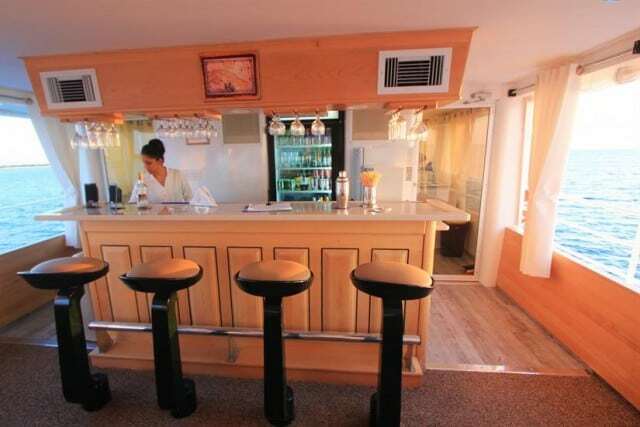 There is also a bar area where you can unwind with a mojito at the end of the day’s diving. 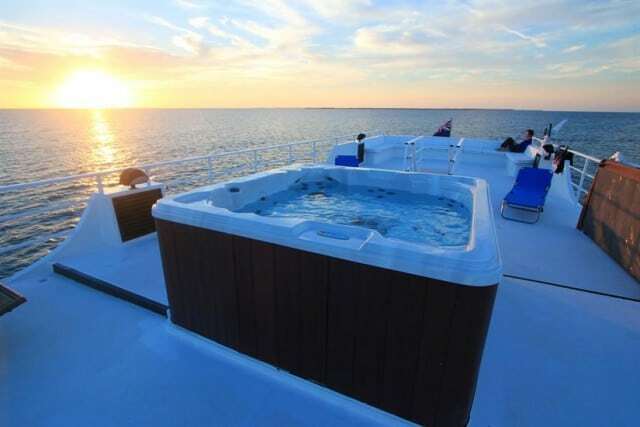 Other facilities include a large sun-deck for those needing vitamin D. Also, on the sun deck, is a seating area and a Jacuzzi where you can relax while simultaneously admiring the ocean views. Hot and cold beverages and snacks are available all day should you become a little hungry between activities. Onboard the Avalon II there is ample space for diving equipment and there is a dedicated area for underwater video and camera set-up. There are 9 diving staff working to cater to your needs and the vessel also features a Brownie Nitroxmaker system. So, should you wish to reduce your nitrogen exposure, or extend your bottom time, nitrox is available for those qualified. A normal week’s diving in the marine park would include 15 dives. However, it is possible to book extra dives on request. Weekly voyages of 7 days/6 nights are made into the marine park. The marine park is not seasonal and tours operate all year round. Expect to budget approximately EUR3,622 for the 7 day voyage. This equates to EUR517/day. However, please note that this does not include dive equipment rental, nitrox (if required), crew tips etc. Please contact us for further details. Avalon II is the best boat to dive the Gardens of the Queen. The crew on board are amazing — always helpful and attentive; the dive masters (Noel and Eduardo) are perfect for their jobs; the accommodations are very comfortable; and the dining room food and service were very pleasing. We would highly recommend this boat and their crew and feel that our time with them ranks in the top two of best dive trips ever! We had the opportunity to do 18 dives and each one was worth it. The pace of the diving was one of the better points — rather than feeling that we were rushed through a dive site, Noel took his time so instead of just “seeing” a lot of fish, we got to “look at” a lot of fish and spend enough time to see their interactions with other fish. 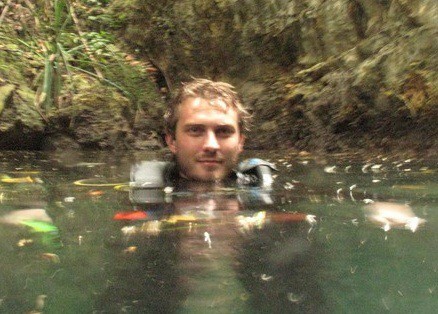 Many dives we’ve been on are just too fast and definitely not as enjoyable. We would highly recommend Avalon II for diving in Cuba. The newest addition to Avalon fleet and one of the finest ways to see the exclusive 'Gardens of the Queen' marine park.